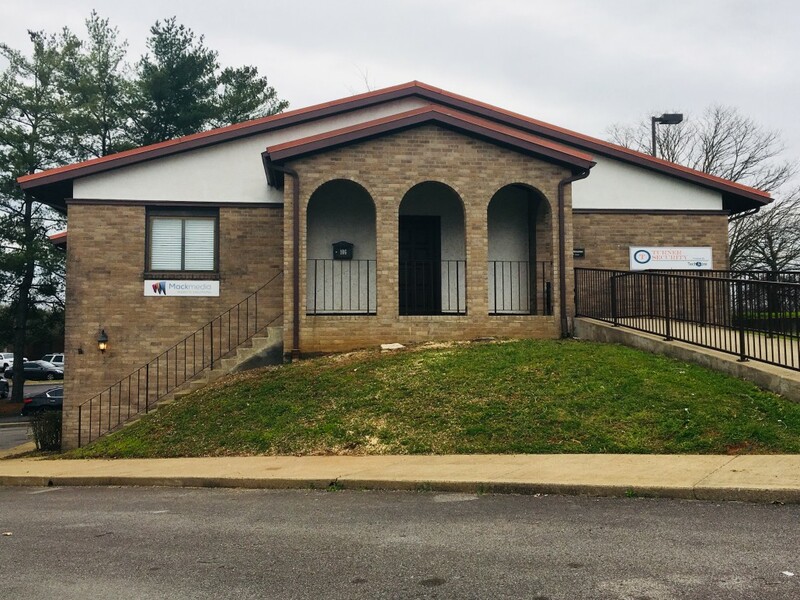 Yes, you read that right – Mackmedia has relocated to Smyrna, TN! Since our business was founded in November of 2013, we have grown year over year. We now have 8 employees with specialties in web design, web development, website management and maintenance, and SEO (Search Engine Optimization). We welcome you to come by and visit, any time between the hours of 9am – 4pm (M-F). We are in the same building as Turner Security and TechCore. The Smyrna Independent Merchants Association (SiMA) is immediately below our office. We are behind Regions Bank (at the corner of South Lowry Street and Enon Springs Road). Wilson Bank and Trust (on Enon Springs Road East) is directly across the street. We are next door to Smyrna City Hall (on South Lowry Street). What Does the Exterior of the Building Look Like? Please continue to refer to your invoice for the address to remit payment.